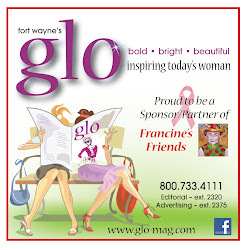 Calling all Table Captains, Bosom Buddies, and Sponsors...you are invited to be our guest on Tuesday, June 28th, at Sycamore Hills Country Club as we share information and gratitude to you, our wonderful "Friends!" 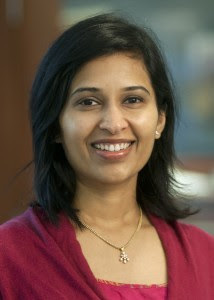 Our guest speaker will be Shalini Chitneni, M.D., Fort Wayne Medical Oncology and Hematology. Dr. Chitneni is the practice’s primary physician at Parkview LaGrange Hospital. Dr. Chitneni is recognized by the World Health Organization and the Medical Council of India. She’s also board-certified in internal medicine and certified by the Educational Commission for Foreign Medical Graduates. She has also been very involved in volunteer work in India and in the United States, including her efforts on behalf of UNICEF. We're excited to have Dr. Chitneni with us to speak to our group about news regarding breast cancer. As table captains and event sponsors, you'll also receive a packet with your October luncheon invitations, so you'll have plenty of time to contact YOUR friends and fill your table(s) for our October event. Please be sure to RSVP to Jeanne Garton by June 22nd by phone: 625-3532 or jeannegarton@aol.com. Hope to see you there!